Some 270 million years ago, the world was entirely a different place, and even with numerous paleontological findings, we’re still finding more and more evidence of the fauna that inhabited the world. Now, researchers have found new fauna in northern Brazil, in what used to be the continent of Gondwana. Image via Cisneros et al, 2015. “Almost all of our knowledge about land animals from this time, comes from a handful of regions in North America and western Europe, which were located near the equator. Now we finally have information about what kinds of animals were present in areas farther to the south, and their similarities and differences to the animals living near the equator,” said Dr Kenneth Angielczyk from the Field Museum of Natural History, a team member and a co-author of a paper in the journal Nature Communications. During the late Paleozoic and early Mesozoic eras, Pangaea was the place to be; well, technically speaking, it was the only place to be, because it was the only supercontinent – all the continents were merged into it. But some 300 million years ago, it started to split, initially into two parts: Laurasia and Gondwana. Gondwana formed prior to Pangaea, then became part of Pangaea, and finally broke up after the breakup of Pangaea. Gondwana is believed to have sutured between about 570 and 510 Mya, thus joining East Gondwana to West Gondwana. But just like the tectonic structure of the planet was different, so too were the ecosystems that populated the continents. 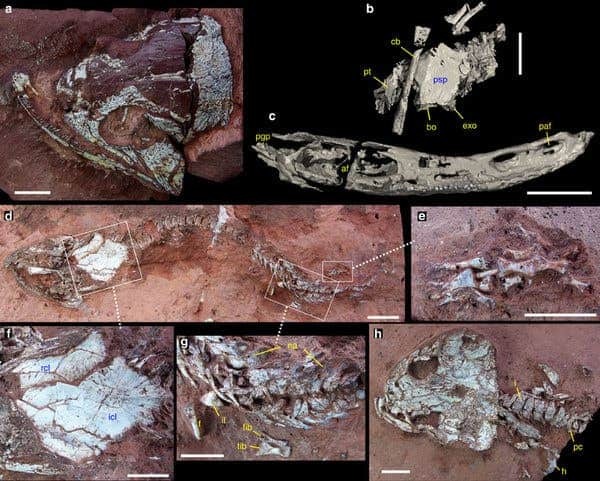 Juan Cisneros from the Universidade Federal do Piauí and his team found a new early Permian continental tetrapod fauna from South America in tropical Western Gondwana that sheds new light on patterns of tetrapod distribution. Based on the characteristics of the animals they found, north-eastern Brazil was a lacustrine system inhabited by a unique community of amphibians and reptiles. “Our findings demonstrate that tetrapod groups common in later Permian and Triassic temperate communities were already present in tropical Gondwana by the early Permian (Cisuralian). This new fauna constitutes a new biogeographic province with North American affinities and clearly demonstrates that tetrapod dispersal into Gondwana was already underway at the beginning of the Permian,” they write in their article. These new findings provide unparalleled window into tropical wetland faunas of Gondwana at the time – the fact that we can indirectly know so much about an environment so far away in time is absolutely amazing to me.